Sift Dessert Bar ® is a modern dessert shop for gifting, treating and celebrating. 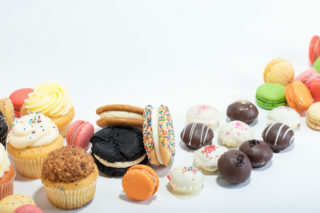 With locations in Northern California’s Wine Country and San Francisco Bay Area, Sift also ships desserts nationwide. Sift likes to have fun while creating desserts and flavors based on nostalgic desserts and favorite treats. All 5 of Sift locations are locally owned by Jeff and Andrea Ballus who are celebrating 11 years in Sonoma and Napa County this year!